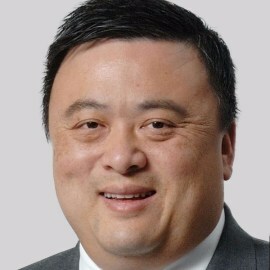 Han Wu joined West Bank in 1992. Han graduated from the University of Iowa with a degree in Finance and minored in Computer Science. He is a graduate of the Greater Des Moines Leadership Institute's 2008-2009 Community Leadership Program and a 2011 graduate of the Bank Technology Management School of the Graduate School of Banking in Madison, Wisconsin. Active in the community, Han has been involved with Variety, The Children’s Charity since 1994 and Best Buddies of Iowa. He was also a former board member for Variety. Han and his wife Stacy live in Grimes with their two children, Jaidan and Kaiya.